Ark Victoria provides pupils with a unique journey in their education through the curriculum and wide range of opportunities that we offer as an all through school. We support and empower all staff and pupils to become ambitious, resilient, and kind citizens who understand their role in our community and the wider world. Pupils leave us with the skills and qualifications to continue their journey of life-long learning in a university or career of their choice. 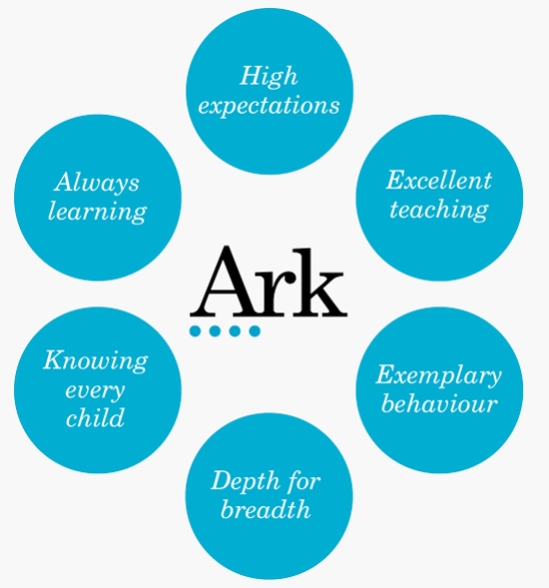 We set very high expectations for all our pupils at every stage of their education at Ark Victoria. We support and nurture every child to enable them to realise their full potential, in all areas of the curriculum. We want all our pupils to leave us with the skills and qualifications to continue their journey of life-long learning in a university or career of their choice. Rigorous planning and detailed subject knowledge underpin teaching and learning at Ark Victoria. All staff receive personalised professional development, to ensure that all pupils achieve their full potential. Our pupils are confident when discussing their learning, and through active participation in lessons, they demonstrate how much they value their education. Our pupils are self-assured, respectful and confident. They are deeply aware of the importance of their contribution to the world, leading to success both in their academic studies and in later life. At Ark Victoria, we ensure that all students secure firm foundations in English and Mathematics, allowing them to apply these skills in the wider curriculum. By revisiting learning regularly and completing timely assessments, we are able to plan personalised learning, allowing pupils to keep up, not catch up. Our all-through school provides us with a unique opportunity to build strong relationships with our pupils and families through their journey of education. We work relentlessly to develop our understanding of, and our role within, the diverse community which we serve. All adults are aware that they have a shared responsibility for the emotional well-being of pupils. To develop a culture of learning for staff to become experts in their fields and lead effectively across the academy which will result in students receiving excellent teaching.